Does Insurance Cover Dental Implants in Parsippany? If you are suffering from tooth loss, you have probably heard that dental implants are the best form of tooth replacement. Offering over a 95% success rate, more than 500,000 dental implants are placed each year. Due to the various benefits they offer, they are very appealing when compared to traditional forms of tooth replacement, like dentures. However, while they are the most preferred, they are also quite expensive. At Rauchberg Dental Group, we understand the cost of dental implants in Parsippany is a concern. We have the information you need to understand the cost of the procedure. Dental implants are used to replace the root and crown of the tooth. They are composed of three main components: the implant post, an abutment, and the dental crown. Together, these offer a lifelong solution to treat tooth loss. When compared to other tooth replacement options, dental implants are the only one to most closely mimic the appearance and function of a natural tooth. When compared to other tooth replacement options, dental implants do cost more upfront. However, since they last a lifetime, they are more cost effective in the long run. The total cost of implants varies based on several factors, such as how many teeth are being replaced, if any additional procedures are needed before hand, and if a specialist is required. On average, you can expect to pay anywhere from $1,000 to $3,000 per single implant. In most cases, dental insurance does not cover dental implants. However, there are some instances where your insurance may cover the procedure, such as the nature of how the tooth was lost. In addition, depending on your exact dental coverage, portions of your treatment pay be covered. For example, if you require tooth extractions or bone grafting, your dental benefits may cover a portion of these procedures. 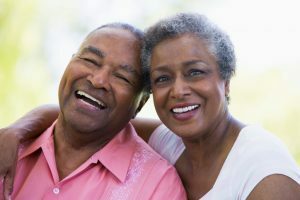 How Can I Pay for Dental Implants? If the cost of dental implants has you concerned, do not worry. There are many ways you can pay for the procedure. At Rauchberg Dental Group, we strive to make dental services affordable for all budgets. In addition to working with your dental coverage, we also offer various payment options with all major credit cards. We also work with third-party financing with CareCredit to help you pay for dental implants. CareCredit is a trusted financing institute that allows you to make low monthly payments based on the amount you borrow. The financing is subject to approval. Where Can I Get Dental Implants? If you are ready to make an investment in your oral health with dental implants, Rauchberg Dental Group is here to help. We use the most advanced technology and proven dental implant methods to replace missing teeth. With more than 1000 dental implants placed to date, you can rest assured you are in good hands with Dr. Rauchberg. Strat your journey to a complete smile. Contact our office today to schedule your complementary consultation for dental implants. Comments Off on Does Insurance Cover Dental Implants in Parsippany? Get a Complimentary Consultation Today!